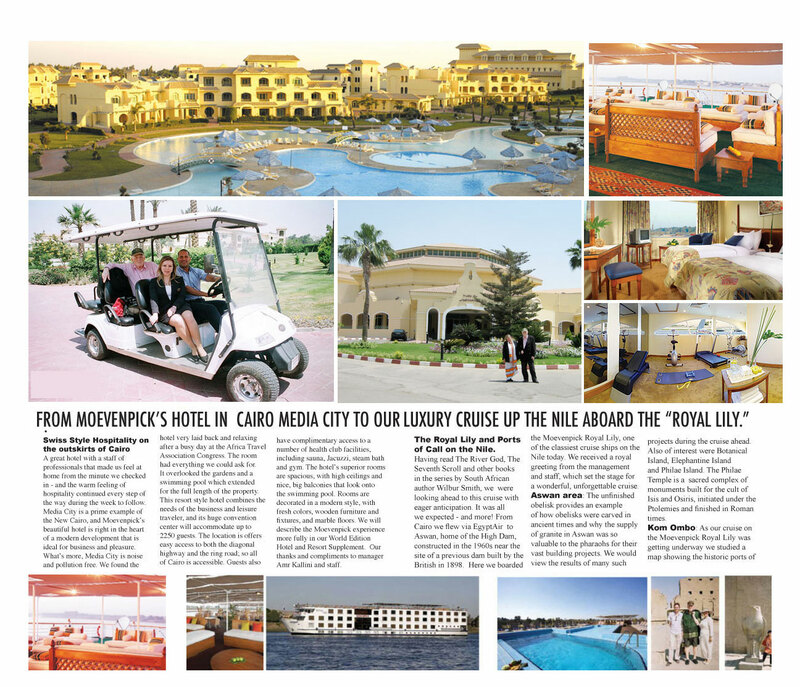 Cruises - AFRICA TRAVEL MAGAZINE. MARKETING AFRICA IN PRINT! ONLINE! ON AIR! Cruise Lines International Association (CLIA) has opened registration for its annual conference, Cruise360 taking place June 1-6, 2016, in Vancouver, B.C., at Cruise360.org. Cruise360 registration launches with a new logo and tagline that brings all that Cruise360 offers to life in one simple statement -- A Panoramic View of the Cruise Industry. The new look and feel of Cruise360 ensures the cruise industry's most important event for cruise travel professionals is recognized as the industry gold-standard for cruise travel education and professional development. Elevate Credibility: CLIA-certified agents sell more and Cruise360 offers the courses and ship inspections necessary to become a certified cruise counsellor. Get Certified and Expand Industry Knowledge: Access comprehensive training and certification programs designed to sharpen sales skills, overcome objections with confidence and expand new destinations and product knowledge. Meet Cruise Line and Industry Leaders: Utilize a variety of networking events to make new connections, or strengthen current ones, with cruise line, destination and industry leaders. As the largest and only official conference of the cruise industry, attendees will join more than 2,000 travel professionals for six days of industry insights, professional development and networking. These attendees include professional travel agents, cruise line executives, destination and port representatives, suppliers, CLIA Preferred Partners and CLIA Executives and staff. 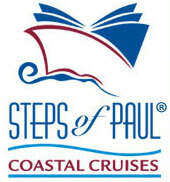 To register and to learn more, please visit Cruise360.org. It is this spreading of Agape that has been our personal mission. To enable people to come and experience for themselves the places where the Apostle Paul lived, preached and suffered as he brought the Good News. And we wanted these people to benefit of the full experience while we discreetly fine-tuned the details. We created well-researched itineraries, provided highly educated, Bible-oriented guides and staff with a respect for all denominations, while ensuring all practical matters are taken care of. This left our visitors undisrupted to focus and follow what they had come for. Zanzibar, both as a port of call and as a day excursion from Dar es Salaam, offers the visitor a taste of the exotic Swahili culture and history. A former spice sultanate and later, a major port for the Slave trade, the island has many sites that are part of the Slave Route. The mosaic of architectural styles in Stone Town, the main city of Zanzibar Island and a UNESCO World Heritage Site, reflects the rich history and influences of all the traders that flourished on these islands. The Island also boasts beautiful beaches, marine sports, diving and snorkeling. Africa with Cunard Line - Cunard Line is a traditional luxury line that began in 1840; its flagship, Queen Elizabeth 2, is the worlds most famous ship and the greatest liner of her time. Africa with Holland America - Holland America is a premium, elegant, classic cruise line with a semi- formal and yet relaxed atmosphere. Africa with Princess Cruises - Princess Cruises is a premium cruise line focusing on passenger choice in dining, entertainment, activities, and accommodations. Africa with Seabourn Cruise Line - Seabourn is a luxury line with six-star quality service, yet with all the amenities and choice of modern cruise ships. 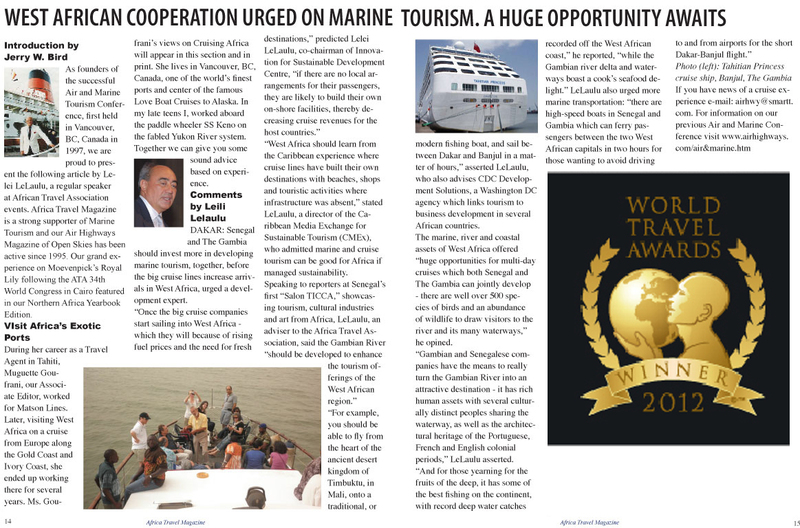 ve news of a cruise experience e-mail: africa@dowco.com. "Imagine a cruise around Africa, via the Suez Canal, stopping at exotic ports on the Mediterranean, Atlantic and Indian Ocean. Or if that's not enough, Africa's rivers and lakes offer an abundance of opportunity for everything from high adventure to luxury. From what we've heard at this year's travel show circuit, travel agents can expect some new cruise programs involving Africa. Stay tuned for an update and progress on our Africa Cruise Supplement. Living three blocks from one of the world's top cruise ship terminals, we have a definite interest in this mode of travel. Editor. The number of cruise passengers has been growing almost twice as fast as International Tourist arrivals in the last decade, according to a new WTO study on the cruise industry which states the following. 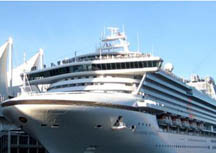 "Since 1990, the number of cruise passengers has increased by 7.7 per cent annually to reach 8.7 million in 1999. Although it represents only 1.3 percent of all international arrivals, the importance of the cruise industry has do with the amount of revenues generated and its potential for growth.  Faster growth in European demand than North American demand, decreasing average age of passengers, increasing demand for short cruises and a boom in Mediterranean cruise.  An increase in the size of the cruise ships - impeding some cruise ships from crossing the Panama Canal and increasing the investment required in port facilities. This trend towards larger cruise ships will also create more competition with resorts on land -some of these vessels will include mini-golf, aquariums and even ice rinks.  Consolidation of the cruise industry, which will cause the disappearance of medium sized independent shipping companies, therefore strengthening the position of the larger cruise operators." LOS ANGELES, Calif. - Just days after Crystal Cruises' 2013 World Cruise has set sail, the ultra-luxe line has released Crystal Adventures online for its 2014 World Cruise, marking the voyage's earliest-ever availability of guests' outing options. More than 200 shore excursions are now described in detail and offered for pre-reservation at crystalcruises.com. The carefully-curated experiences, ranging from half a day to several days each, will take guests to some of the most awe-striking natural marvels and historically significant landmarks from LA to London, via the Pacific Islands, Asia, Africa, and more. The annual World Cruise, which is considered by cruisers to be the ultimate of luxury travel experiences, sails for 89 days aboard the award-winning Crystal Serenity, starting January 18, 2014. "So many of our World Cruisers are early planners, committing to the cruise months and years in advance. 2013 was a record-breaking year in that respect, and 2014 and 2015 are shaping up to be similar record-breakers," says John Stoll, vice president of land and port operations. "By allowing guests to explore, and pre-reserve, their shore options now, they can begin connecting with their World Cruise experience all the sooner, planning all the places they'll visit, and growing more excited about their trip ahead with each adventure booked." Helicopter over Hawaii, Hong Kong, and Cape Town. Safari for native African wildlife, from gorillas to elephants. Explore cultural microcosms from Geisha life in Kyoto to Ghandi and Indian sub-culture in South Africa. Stay overnight off-ship in several countries, including Vietnam and Cambodia. Indulge in hands-on culinary treats, from blending one's own wine near Cape Town or learning traditional tea preparation in Hong Kong to local market shopping and hands-on Creole cooking in Mauritius. Visit pivotal WWII Pacific Theatre sites from Tinian to Oahu, including a private lunch with captain of the USS Missouri. Crystal's 2014 World Cruise is comprised of five, 12 to 22 day segments visiting ports in California, Hawaii, Guam, Mariana Islands, Japan, China, Vietnam, Thailand, Singapore, Indonesia, South Africa, Namibia, Angola, Principe, Ghana, Senegal, Morocco, Portugal, and England. Full World Cruisers receive special perks, such as a bon voyage pre-cruise gala, complimentary chauffeured pre- and post-cruise transfers, first class air transportation, souvenir gifts, special shore-side event participation. 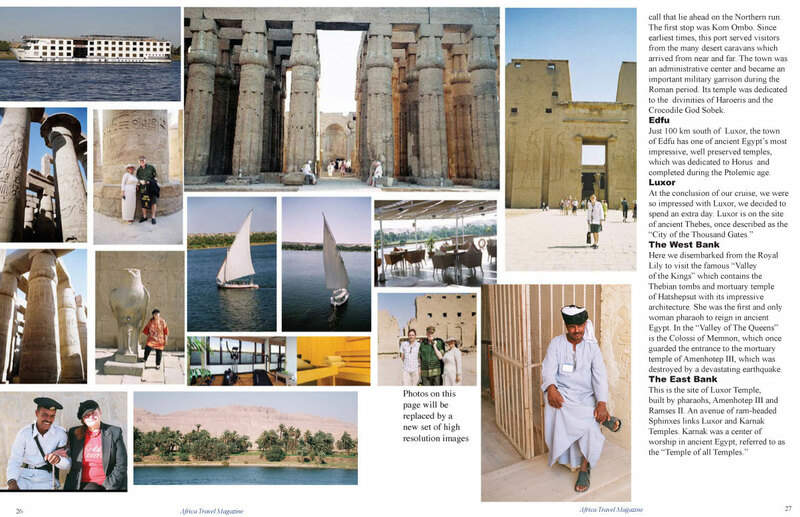 "Imagine a cruise around Africa, via the Suez Canal, stopping at exotic ports on the Mediterranean, Atlantic and Indian Ocean. Or if that's not enough, Africa's rivers and lakes offer an abundance of opportunity for everything from soft adventure to luxury. From what we've heard at this year's travel show circuit, travel agents can expect some new cruise programs involving Africa. Stay tuned for an update and progress on our Africa Cruise Supplement. Living three blocks from one of the world's top cruise ship terminals, we have a definite interest in this mode of travel. Editor. Port details to be provided later. These storied waterways have been followed by merchants, soldiers and sages for millennia. Emperors and Kings built rich cultures here while nature created treasures of her own. The familiar and surprising, the old and the new-together , they blend in a thrill of adventure that lingers long in the imagination. Unable to resist the powers of the Sphinx and the Great Pyramids, you are lured to the shores of Egypt as you pass through the Suez Canal. Alexandria, built by Alexander the Great, was once the greatest city of the ancient world. Your gateway to the Nile River and the ancient wonders of Luxor and the Valley of the Kings is Safaga which offers world-class snorkeling and spa experiences. The shores of the Red Sea are home to other alluring destinations such as Jiddah, Saudi Arabia. Shore excursions will take you deeper into these historic cities and beyond, revealing exotic bazaars full of traditional music, colorful arts and crafts, and delicious markets full of the flavors of each region.. The warm breezes across the Indian Ocean open to dhows and baggalas crisscrossing the Old Port of Mombasa as they have for centuries. Sailing the Mozambique Channel to the fabled island of Zanzibar and on to Durban, beauty awaits in graceful mosques and aromatic bazaars offering native crafts. The majestic profile of Table Mountain signals the entrance to Cape Town, one of the world's most breathtaking capitals. Inland from these cities, herds of elephant, giraffe and countless other animals are found in spectacular game reserves. Choose from one-day photo safaris or overnight tours, and discover the grandeur of Africa's wildlife. Rounding the Cape of Good Hope, you discover the romantic extremes of West Africa. Sands sparkle like diamonds under a sultry sun on the dunes of Walvis Bay, named for the whales once hunted here. A turquoise surf leads to the secluded luxury of Bom Bom Island Resort in the Gulf of New Guinea, where monkeys and parrots play in the tall jungle canopy. But once again, the jungles of the equator give way to the desert dune scapes of the Sahara approaching genteel Dakar. The influences of European explorers are present along these shores, mingling with the energy of modern-day Africa. A French colonial luster adorns the intriguing capitals Lome, Takoradi and Abidjan. Banjul, a maiden call, which was founded by the British in 1807 to block the slave trade, today highlights the remarkable artistic skills and tribal diversity of Gambia. Another unique maiden call is Porto Grande, Cape Verde. And there is the exuberance of the Spanish-flavored Canary Islands. Each port along these exotic shores has hidden secrets and beauty to share. Using hot-air balloons, helicopters, riverboats, land rovers and other creative transport, knowledgeable local guides, together with our shore excursion professionals, will bring the history and myth of this region to life and you will agree: It's a wonderful world. Visit the following site and check out the offers below. Watch for 2007 dates to be announced.